If you’re considering a regional property for your next investment, here are some reasons to mull over first which may sway you towards sticking within the city limits. Throughout history the greatest oversight of investors has been to assume that what has happened over recent times will continue to occur. All tides turn, however, and this is precisely why regional property is risky. Cheaper, outlying households are heavily reliant on linear salary income and become prone to mortgage stress when the cost of debt capital is increased, which causes regional property prices to drop. Prime-location households tend to have substantial equity, diverse income streams and greater capacity to ride out elevated interest rates for their duration. A second error that promoters of Australian regional property make is confusing periods of high inflation or credit growth with real value growth. No question, with skillful timing it’s possible to find a cheap property where prices increase over the short term. Over the long term, however, real capital growth in regional properties is poor, which clearly accounts for why the cheap regional property of yesterday remains cheap today, and yields remain high. A standard rental combined with lackluster growth results in a high yield, for a yield is simply a spot percentage calculated at any given point in time. A standard rental combined with outstanding long-term growth results in lower yields. Be clear about this: property “growth” cannot continue to be fuelled by ever-greater mortgage debt in perpetuity. Australia had persistent inflation throughout two decades in the 1970s and 1980s, devaluing associated mortgage debt, and spiraling credit growth in the 1990s inflated property prices. But real growth was often negligible as those who elected to sell and re-buy property discovered. Ultimately, sustainable growth can only be sourced from productive enterprise and value being created. Three decades ago in Australia this simply meant ripping an ever-greater volume of minerals out of our weeping planet, with 75% of our stock market’s value being resources-based. Today only a quarter of the market’s value is founded upon resources. Instead, wealth is created through technological ingenuity and intellectual expertise, particularly in financial services. Another mistake is mum-and-dad investors and punters who aren’t from a financial background confusing yield and income, and thus falling into the insidious yield trap. Yield can be a devastatingly misleading indicator as to investment performance. The “strongest” stock yields are in exporting companies who bravely maintain dividend payments in the face of the crippling appreciation of the Aussie dollar, but with market caps that have been crucified. Similarly, in Australian property yields are highest in regional properties, where real capital growth has been dire. Chasing yields can be very costly for investors. In Australia in 1990 you could have invested for the long haul in ‘safe’ term deposits (around 12% yield, but a diabolical long-term performance), listed property trusts (around 10% yield; mediocre performance) or the ‘risky’ industrials index (around 6% yield, massive outperformance, both in terms of income and growth). Yes, in property investment, yield is important, but you must be able to source sustainable long-term capital growth. All properties might perform when times are good, but when times are bad – and recessions do recur in a cyclical economy – it pays to be holding properties for which there is the highest demand located in capital cities. Observe what happened overseas where recession hit. UK regional property prices dropped by a quarter through the financial crisis and negative equity abounds, even years later. How cheap is regional property in the US, Ireland or Spain today? Quality inner suburbs of London and major capitals, however, continue to be powered to fresh heights by domestic and international capital. Indeed, yields remain low today but the rental income is vast – £125,000 to £350,000. Capital growth has been phenomenal with prices measured in millions, though few such properties change hands – why would you ever offload such a cash cow? Sure, you can wax lyrical about rental yields in Australia’s regions. But frankly, who cares about spot percentage yields when you can have staggering long-term outperformance from properties with wealth-creating growth and income? When the Australian dollar depreciates and investors from Asia re-enter our property markets, will they research obscure regional areas, or will they flock to capital cities? In Australian real estate, continual high demand which can ride out recessionary times is vital, not the obsession with an abstract yield calculation. 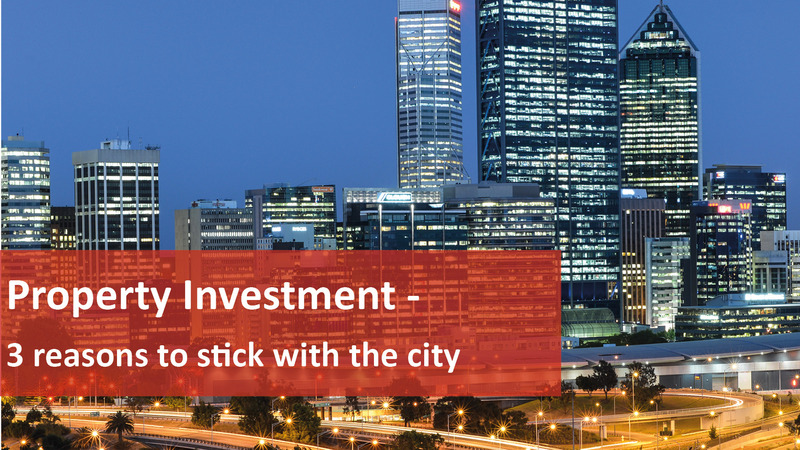 As immigrants continue to flood to the capitals, investment grade residential property in land-locked city suburbs will continue to be a wonderful investment for the risk-averse over the long term. We Love Rentals® are here to help with any investment queries you have. Call the team on 08 6454 6300 today!